The Vikings of Berk - The Vikings Of Berk! Hi! Welcome to The Vikings Of Berk (A.K.A TVOB)! This is an HTTYD website where HTTYD people can gather and share stuff, write stuff, and draw stuff! But this site is known for the Viking's Blogs! That's right! 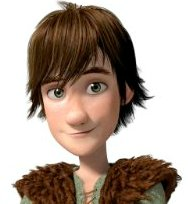 Hiccup, Astrid, and the rest of the gang write their own Blogs! Come check it out! We have other kinds of HTTYD fun on each section of this website, so look around! BTW this website is still under construction, so some pages are currently being worked on!